New York — In its 40th year, the Greenwich Village Antiquarian Book Fair is a West Village neighborhood tradition that brings together some of the country’s best known dealers, collectors, and community members to benefit PS3 The Charrette School. This year’s event will take place on Feb. 16-17 at the historic school. Those with a keen eye for rare and vintage books, first editions, ephemera, posters, art books, unique children’s books, manuscripts, and hard-to-find collections are sure to uncover something coveted. Dealers at this fair are eager to help collectors new or veteran navigate the items for sale.. The public is welcome to visit the fair on Saturday, Feb. 16, from 11 a.m. to 6 p.m., and on Sunday, Feb. 17, from 11 a.m. to 5 p.m. Admission is $10 per person. Half price coupons are available on the website GVABF.com. Children under 16 and students with a college I.D. are admitted free. The school is located at 490 Hudson St. in the West Village. 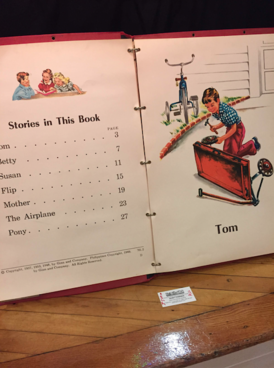 Lexington, Mass.-based Book and Paper Fairs specializes in the production of rare book and ephemera fairs in the Northeast. The company organizes notable events such as the New York City Book and Ephemera Fair which this year is adding the first Booklyn Artists’ Book Fair featuring 40 talented book artists, the Brooklyn Antiquarian Book Fair, The Ephemera Fair in Greenwich, CT., and the Boston Book Print and Ephemera Fair. For more information about this or the other fairs contact Marvin Getman at info@bookandpaperfairs.com.